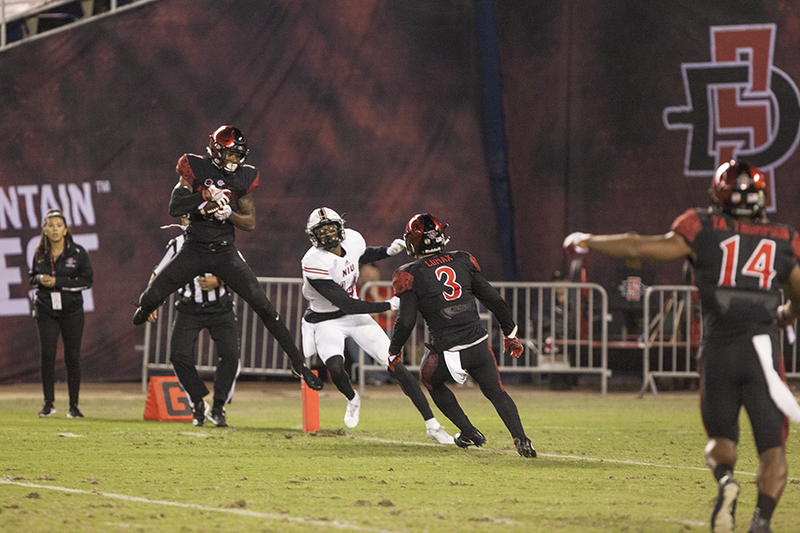 Senior safety Kameron Kelly intercepts an NIU pass at the goal line during the fourth quarter of SDSU's 34-28 win. Good football at San Diego State is nothing new. Fans have been spoiled in recent years with two consecutive Mountain West Conference championships, a 10-game winning streak and FBS career rushing leader Donnel Pumphrey. 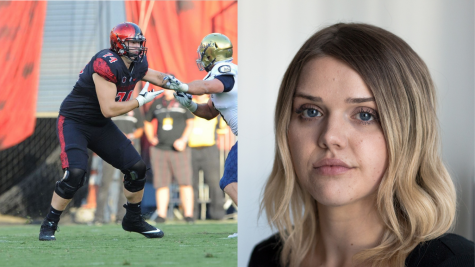 Past teams and players paved the way for a new era of Aztec football, one that is not focused on a single individual, but the team as a whole. Look at the last few games and how many different players stepped up. Senior running back Rashaad Penny put up 353 all-purpose yards and three touchdowns to beat Arizona State, and is second in the FBS with 1145 all-purpose yards. 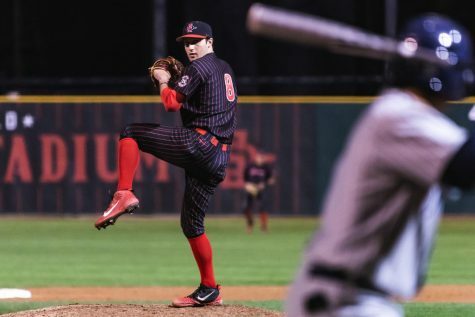 Redshirt junior quarterback Christian Chapman has turned his game manager label on its head, leading game-winning fourth quarter drives against Stanford University and Air Force Academy in back-to-back weeks. Chapman has been aided by contributions from sophomore tight end Kahale Warring, who has two touchdowns this and leads the team with 174 yards; senior tight end David Wells, who has caught two fourth-quarter touchdowns; and senior wide receiver Mikah Holder, who is second on the team with 13 catches and 154 yards. Defensively, players like senior safety Kameron Kelly, redshirt sophomore cornerback Ron Smith and freshman cornerback Tariq Thompson have come away with huge interceptions in the final moments of games to seal victories against Stanford, Air Force Academy and Northern Illinois University. Junior safety Parker Baldwin has led the team in tackles the last two weeks, and senior linebacker Jay Henderson led the team with three sacks and four tackles for loss in last week’s win over NIU. 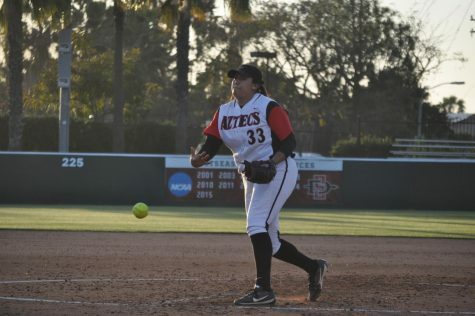 Penny said that the whole team coming together is what makes the Aztecs special. Strong team chemistry is a sturdy foundation, but what makes this team stand out is its ability to find a way to win games late. 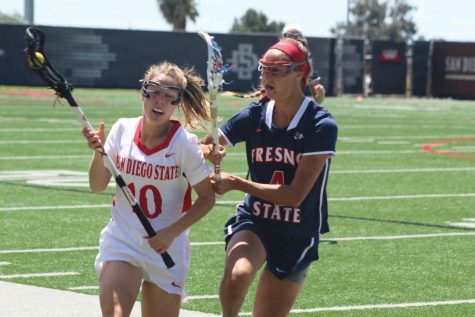 In each of the last three games, SDSU has grinded out wins that would have been losses in year’s past. 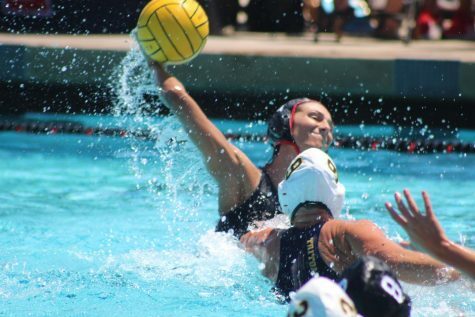 Time and time again the Aztecs have been tested, and so far continue to come out on top. 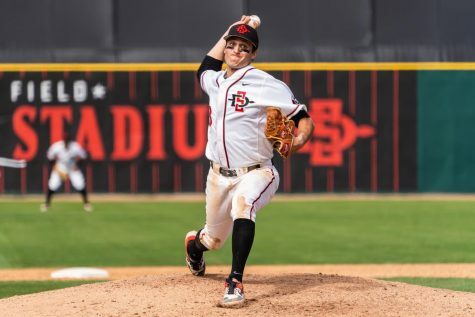 Aztecs fans are used to seeing their team perform well in the beginning of the season, before losing head-scratching games to push them out of the national spotlight and out of the rankings. This happened in 2016 when the then-No. 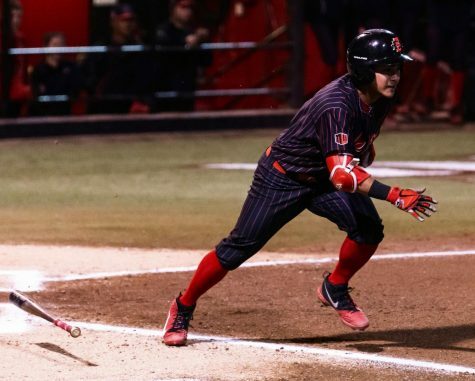 19 Aztecs lost to University of South Alabama, the week after they defeated UC Berkeley and cracked the AP Top 25. But such isn’t the case with this team, and with its 5-0 start and No. 19 ranking in the AP poll, there is much more in store. “This year you never know who is going to make the play for us and I think that’s the best thing about having a team like this,” Kelly said. 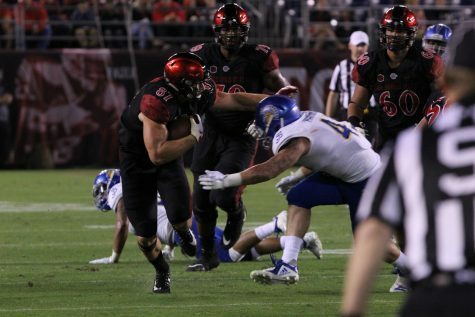 The college football season is not quite halfway over and there’s already been more than a whole season’s worth of memorable SDSU moments. There is something special about this team, and Long gives all the credit to his players.